Like her namesake, the goddess of Wisdom, Minerva is a smart one, bright and stylish. Demonstrate your brains and flair by including her in your holiday decorating plans. 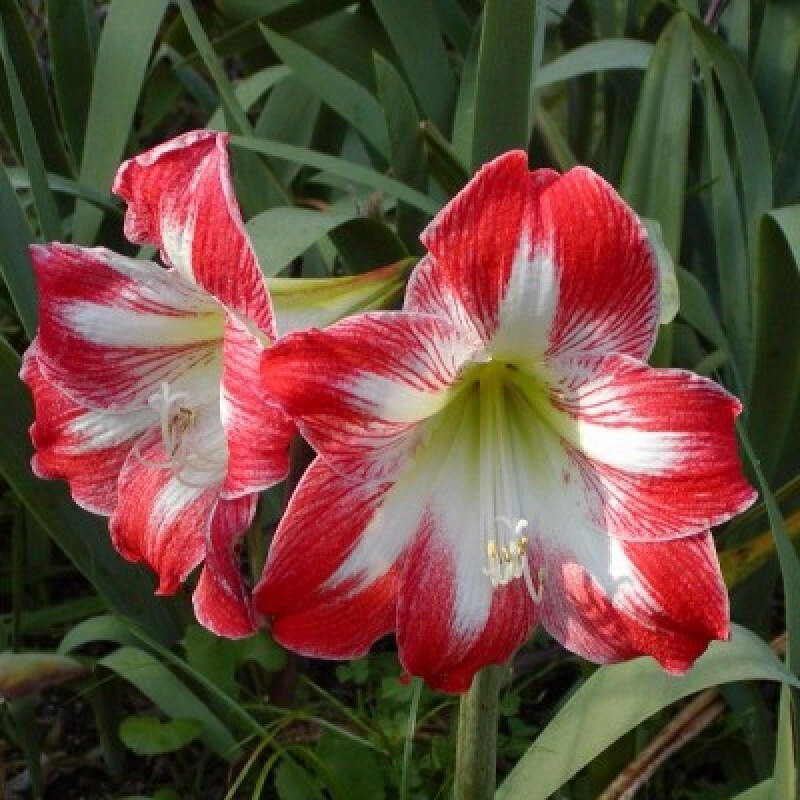 Full petals are a saturated red, overlaid with a white star and accented by stippled veining similar to that of some of the best bearded iris. A kiwi green throat completes the captivating look. Bloom Season: Flowers in 40-60 days indoors and mid spring outdoors.